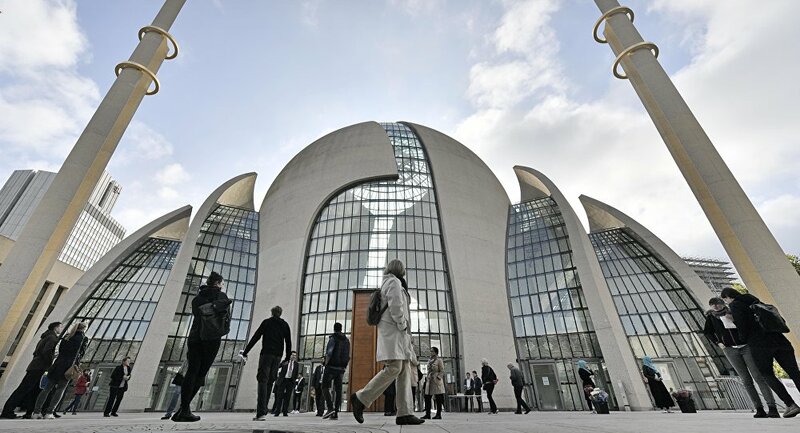 IN A CONTINUED crackdown on the Turkish-Islamic Union for Religious Affairs (DITIB), the State Ministry of Justice of Lower Saxony state in Germany will no longer allow the DITIB to conduct religious services in the prisons. The Ministry said the contract signed with DITIB Ankara-paid imams will not be able to work but other imams who are working in DITIB’s mosques but don’t receive salaries from Turkey will be able to continue to work. Also allowed to continue working are voluntary workers, the ministry announced. “DITIB imams are not able to free themselves from the influence of foreign states and unable to become an ‘independent religious community’ in German. The unshaken confidence is important in a sensitive environment area like a prison,” Justice Minister of the Lower Saxony state government, Barbara Havliza, also the Christian Democratic Union (CDU) party member. She further emphasised imams should be independent of the impact of third countries. The Ministry’s statement underlines the contract of the imams who works in DITIB mosques but don’t receive a salary from Turkey are exempted from the cancellation and the imams who work part-time and voluntarily will not be affected the ministry’s decision of cancellation of the contract. The ministry further said the information the contract between the Sura Association which is an umbrella body of the mosques and Muslim associations in Lower Saxony, and the state will be valid. The statement includes that the ministry demands information about the imams from the Federal Office for the Protection of the Constitution. According to information from the Justice Ministry, DITIB imams provide services to Muslim inmates in nine prisons among 14 prisons in the state. Three imams among 19 imams, sent by the Cologne-based DITIB as a branch of the Presidency of Religious Affairs of Turkey (Diyanet). 12 imams work voluntarily in prisons in the state. DITIB’s Lower Saxony management has resigned last year in November due to interventions by the DITIB headquarters and the Religious Service Attaché in Cologne. The State government made an announcement last week that, despite Turkey’s potential intervention, the cooperation would be continued with DITIB. However, the Ministry of Justice has announced some concerns.